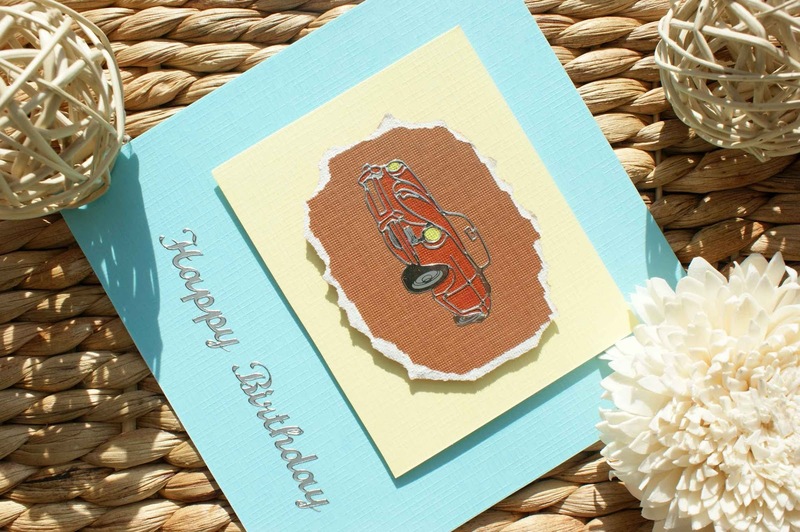 And todays lil treat... a very easy to make birthday card in boy blue! Just in time for the special boy I didn't forget. 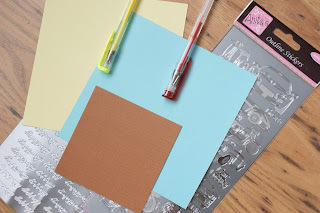 I got all the materials I need to make these from the usual suspect...Hobbycraft...of course, but of course you can always get your own colours and cards from your favourite supplier. Take white card 15cm x 30cm and fold it in half. Take a blue card (size 15cm x 15cm) and using double sided tape attach it to the white card. Attach car outline sticker onto a small piece of a brown card paper and tear outline around the car. Colour the inside of a car with a red gel pen (you may need to do 2 layers) and headlights yellow. Attach the piece to a yellow card paper (apprx. 8.5cm x 10.5cm) using foam pads and then attach the yellow card to the blue card using foam pads. 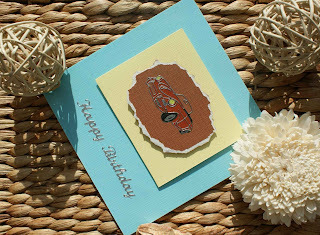 Add “Happy Birthday” sticker to the card.